The following are a few frequently asked questions about the Three Capes Track Walk that you may find useful. Our trips depart between year round. During October, November, April, May we have two departures per week. In December, January, February, March we have three departures per week. For dates please refer to our booking calendar. Our groups have exclusive use of the only private Lodge accommodation along the track. Our lodges are architecturally designed to sit lightly within the environment with stunning views. The Lodges do not forego creature comforts with plenty of lounge areas and a dedicated relaxation area at Cape Pillar Lodge. Each trip requires a minimum of 4 and a maximum of 14 guests. All accommodation is twin share. As long as you exercise regularly, are capable of walking an average of 10km for four consecutive days (with the longest day being 15kms), and are comfortable with varied terrain, you’ll be fine! This track is considered a "dry foot track" so mud will not be an issue! If you have any concerns about fitness, check out which walk is right for me please call 03 6392 2211 and speak with one of our friendly Reservations staff members. We are more than happy to discuss additional information about what you can expect. If you adhere to our gear list, your pack will likely weigh between 7kg and 9.5kg. With special attention to reducing pack weight, your pack and its contents can weigh as little as 6.5 kg. The pack and weather proof jacket that we provide have a combined weight of 2.5 kg, leaving 4.5- 6.5 kg for your personal items. Each person must carry their lunch and water, wet weather gear, spare clothes for the lodges, thermals and warm clothing, plus any extras such as a camera. What style of shoe/boots should we have? You will need lace-up hiking shoes or boots that have sturdy, treaded soles (full-grain leather or Gore-tex with Vibram soles recommended. We cannot over-emphasise the importance of appropriate footwear. Running shoes, sand shoes, elasticised boots and similar are not acceptable. Boots must be worn in to minimise the risk of blisters. You will be unable to commence the walk without the appropriate footwear, so please feel free to contact us for more details. We are more than happy to discuss footwear with you. Our guides are passionate outdoor enthusiasts, educated interpreters and fantastic cooks all rolled into one. Two knowledgeable guides accompany each trip. This allows plenty of time for interpretation at interesting points along the track, photo opportunities, rest breaks and walking at your own pace. The guides prepare scrumptious three-course meals each night. We are quite happy to cater for special dietary requirements, we just need to know in advance. We use fresh Tasmanian produce and evening meals are served with a selection of Tasmanian wines. 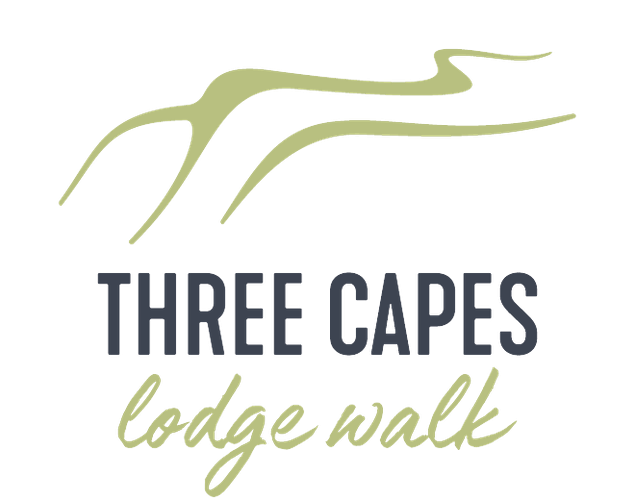 At the start of your walk (for walks until 30 June 2019): If you are staying in Hobart the night prior to your walk we will collect you from your accommodation (within the CBD) between 9.00am and 9.30am (you will need to let us know where you are staying at least 10 days prior to your trip commencement date). You will then meet your guides for your gear check. For anyone staying on the Tasman Peninsula prior to the walk, please contact reservations to make arrangements regarding gear check and meeting time. Ph- 03 6392 2211 E- bookings@taswalkingco.com.au. For Walks departing from 01 July 2019 we will do one pick up only at the Old Woostore. Please note if you are staying at the Henry Jones the meeting location is on site and if you are staying at MACq01 you will just need to walk across the road. At the conclusion of your walk: the group will arrive back into Hobart at approximately 6.00pm with a Hobart airport drop off at 5.30pm. For walks departing up until 30 June 2019: If you are staying in Hobart the night prior to your walk we will collect you from your accommodation (within the CBD) between 9.00am and 9.30am (you will need to let us know where you are staying at least 10 days prior to your trip commencement date). You will then meet your guides for your gear check. For anyone staying on the Tasman Peninsula prior to the walk, please contact reservations to make arrangements regarding gear check and meeting time. Ph- 03 6392 2211 E- bookings@taswalkingco.com.au. For walks departing from 01 July 2019 we will do one pick up only at the Old Woostore. Please note if you are staying at the Henry Jones the meeting location is on site and if you are staying at MACq01 you will just need to walk across the road. The minimum age for guests walking with us is 10 years old. There are no upper age restrictions, however, for guests walking with us who are 69 or above we do require a GP to sign off on a letter we provide.